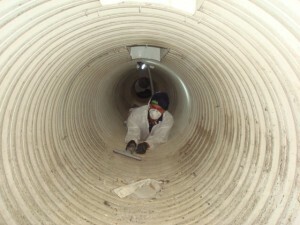 Many people think that air duct cleaning is just relevant in the residential market. They forget that almost all commercial buildings in Michigan use forced air systems which in turn has air ducts. These systems also need to get cleaning because the air ducts get dirty and send the dirt and debris into the conditioned environment or workspace. 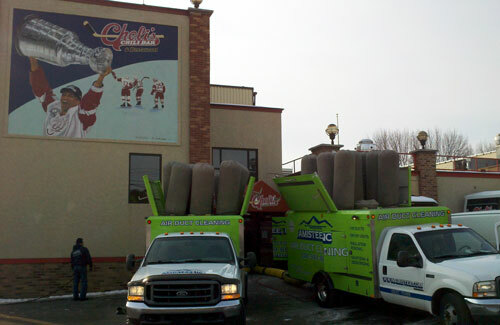 Amistee can clean any type of duct system and has had many years doing so. When a fire or flood has happened in a commercial building the building owners have called upon Amistee Air Duct Cleaning to get the air ducts back into working order. Amistee has cleaned all types of commercial air duct systems from Comerica Park where the Detroit Tigers play to local food establishments looking to provide clean air for their patrons. Sometimes when we are cleaning a duct system our technicians will need to physically get inside of the ductwork to hand scrub every square inch to ensure that it is clean. For your commercial needs call our main office at 248-349-8877 to have one of our commercial inspectors come to your facility and provide you with the best options for your facility.